Upon careful consideration, I conclude that “The One” is likely the silliest name ever for a shoe. This easily bypasses the previous leader, the Hoka Rodeo Clown. What will it be called when they upgrade? The Two? The Other One? Blah. I like them a lot. I couldn’t really tell much difference between them and the Piranhas on the sidewalk, other than people laughing at the color. Legs have been feeling good anyhow, so I’m not sure about the effect of the zero drop. Not like Piranhas are stilettos or anything. 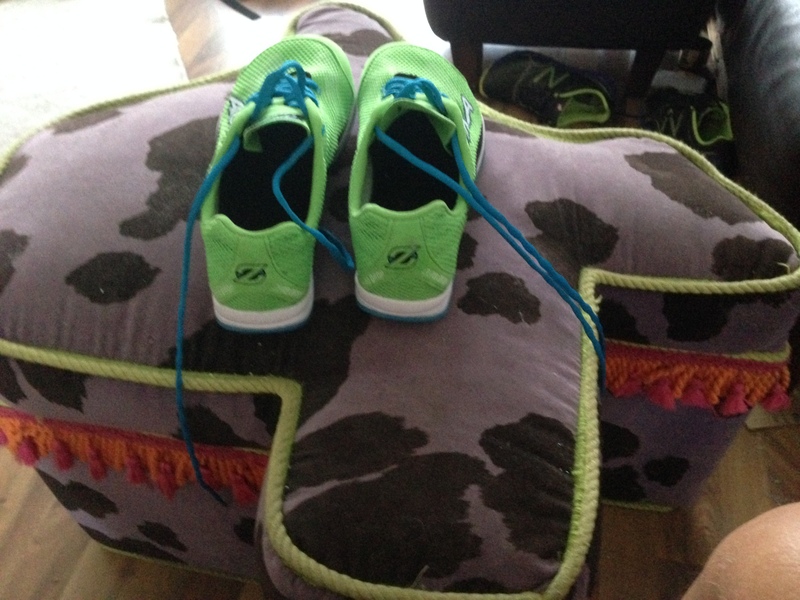 If they have more cushioning, I’m not feeling it. Maybe I was supposed to leave the paper stuffing in the shoe. Toe box is amazing. My toes are inviting friend toes over for the weekend. There’s that much room. I was super-disappointed because I had read that they turn your feet green when you wear the for the first time if you don’t wear socks. I didn’t, and my feet didn’t turn green. Actually, they’re always sort of green. Damn moss. Did I mention it’s humid here? Other than that, time will tell. Four miles felt fine. I guess I’ll find out more when I move up to longer runs, like 4.2 or so. If nothing else, it’s a great start on my Kermit the Frog Halloween costume, now that the blue Smurf paint is starting to fade.